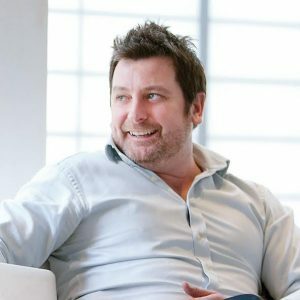 This week it’s the turn of Simon Clayton, Managing Director of Lancashire marketing agency every1. As we throw away the left over mince pies and ease ourselves into 2017, most of us will hopefully be filled with optimism for what successes the year ahead may hold, regardless of the uncertainty and period of change on the horizon. I enjoyed reading Prolific North’s The next big thing for 2017? feature before we escaped for the festivities. Key themes that came across from a number of the 17 contributors included an increased recognition of the importance of CRO as well as mobile optimisation, and the work we’ve been carrying out for our clients recently reiterates this. There’s also a growing appreciation of the need for brand communications to be led by authenticity. Brand propositions should always be based on the truth behind ‘why’ companies do what they do – and even more so in today’s changing world. One brand that’s great at communicating their reason for existence is Manchester-headquartered Co-op. It comes as no surprise then that they are now planning to open 100 new stores and create 1,500 new jobs in a £70million expansion plan. In an era that’s seeing a shift in consumer spending habits from retail to e-tail, Co-op’s aggressive growth plans show confidence does remain in the bricks and mortar model. Meanwhile, e-tailer Boohoo continue to strive forward with ambitious growth plans, with their intention to make bigger waves in the lucrative US market via the potential acquisition of fashion brand Nasty Gal. Continuing with the theme of growth and future plans, we’ve also heard this week about the new Launch space at The Landing. As a marketing agency with extensive experience within the healthcare sector, we are particularly interested to discover that this facility will home the new PwC sponsored Future of Health programme. This three-month growth acceleration programme for established health start-ups promises to drive innovation and create business opportunities, so will certainly be something to keep in mind when speaking with our local healthcare clients. January is the obvious time for new beginnings and for the right candidate there’s a fantastic opportunity available for a newly created Managing Director designate role for Prolific North. This will certainly be an exciting role, leading the successful brand into their next phase of development. Prolific North Live is fantastic and we’re looking forward to being involved in February’s event as speakers in the new Marketing Suite sponsored by Smoking Gun PR and The Chartered Institute of Marketing. See you there.